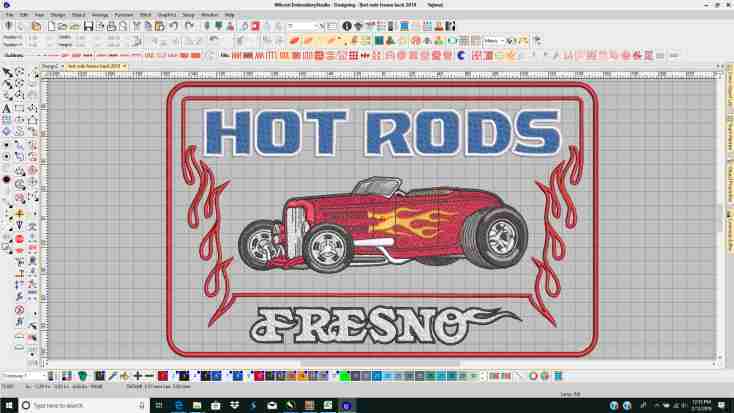 Digitizing is the art of preparing an image for the embroidery process. After that our embroidery machines read the file and sew a design using thread. This is done in house by one of our expert digitizers. Browse our gallery to see our all our past work. You don’t have to visit to see us in action. Take a peek inside the shop! We’ve been honered with numerous awards for our embroidery.